The list of items that Junk King Dallas can remove from your property is a long one. You will expect them to be able to take away the standard things like unwanted furniture and appliances. Plus, they can load up all the random boxes of clothing, sporting equipment, books and toys. But they’re helpful junk removal isn’t limited to items from inside the home. Junk King can also do some impressive clearing around the back and front yards. That even includes gravel removal. When you are planning your landscape makeover you’ll want to start by clearing the ground with help from Junk King Dallas. Just as the Junk King crew isn’t challenged by carrying heavy objects up and down stairs, they also aren’t put off by getting their hands dirty with some yard debris removal. You might have opted for hardscape option of using gravel to create pathways or lining gardens around your yards. It is always a good idea to have a little extra of that gravel kept aside just to replenish down the line. However, if you end up with a huge pile that is left over, then you certainly don’t need amount of rocks on your property. The junk and crew can load it all up onto the truck. But the yard clearing doesn’t have to stop there. The Junk King team can also take down the swing set or dismantle a hot tub if that is what you want taken from your yard. They cleared away lawnmowers, patio furniture and grills. On the really big jobs, like replacing a deck or concrete patio, you can have the Junk King crew clear out all the demolition waste. That includes chunks of concrete. Don’t worry about how heavy this all might be. You won’t be paying by the pound! The junking pricing policy is all about the volume of how your stuff will fit onto the truck. The Junk King crews know that loose items like gravel and other debris can be packed in tightly onto the truck. That will provide plenty of room for other things that you want to get rid of. After they look over what you want to get removed, they will provide you with an estimate. One flat fee covers everything from start to finish. Getting your yard clear of debris and gravel just got easier thanks to the help provided by Junk King Dallas. Put them to work today. This entry was posted in Dallas Junk Removal and tagged gravel removal, Junk King, junk removal, yard debris on March 31, 2019 by Junk King. Last updated March 31, 2019 . A Dallas company that hauls your junk has a solution for those who are having trouble moving on from a recent break-up because they still have a bunch of their ex’s stuff. Having customers come into a restaurant is not unlike having company come into your home. You want to make sure that what they see and what they are presented with is the very best that you have to offer. Sometimes when entertaining at home, that might mean gathering of all the clutter and stuffing it into a closet or spare room that you know the guests won’t peek into. At a restaurant, the seating area is usually the cleanest spot. However, there could be storage rooms, alleys and areas in the kitchen that are overflowing with unwanted rubbish items like old furniture and equipment. Just because the customer doesn’t see them, doesn’t mean they should be there. All of that restaurant rubbish can be swiftly removed with one session from Junk King Dallas. Junk King provides a specialized help that you need to clear out any space. That help comes in the form of two very strong and capable movers. This is a team that has a lot of experience moving all types of bulky and heavy objects. There is anything you can present to junk squad that they probably haven’t already moved out of some other property. Along with chairs, tables and booths you can also give them stoves, refrigerators, coolers and any other broken or unwanted piece of kitchen equipment. Not only will the team from Junk King be able to pack up their trucks with your items in a very timely manner but they will also be disposing of it with an eco-friendly approach. Junk King doesn’t want to add to the area’s landfills. They would much rather go the extra mile to make a drop off at a recycling center or charity. And by extra mile, mean that literally and figuratively. More time is spent with disposal then actual pickups but Junk King wouldn’t want to have it any other way. You can schedule your session with Junk King today and will probably have all the restaurant rubbish removed by tomorrow. That is just how fast Junk King works. You won’t be waiting long to get rid of your rest rubbish when you hire Junk King Dallas for the task. Put them to work today. This entry was posted in Dallas Junk Removal and tagged Junk King, junk removal, restaurant rubbish on March 24, 2019 by Junk King. Last updated March 24, 2019 . Working 9 to 5 doesn’t mean working 95 surrounded by rubbish. Just as you would one your home to be clear of unwanted clutter you should also strive to create the same kind of environment at your office. Unfortunately, it’s not is easy to control coworkers clutter as it is to control your family’s clutter. However, there will come a time when they rubbish in clutter and office space has reached “critical mass.” That is the time to bring in Junk King Dallas. Junk King Dallas isn’t so much a cleaning service as it is a cleanup service. The difference is that when you hire Junk King it is to permanently remove bulky and heavy items that you couldn’t normally toss out the trash. This is the team to count on for efficient removal of things like chairs, desks, tables and cubicles. Just removing those furniture items that aren’t ever going to be used again can make a big difference. Yes, you might have tried to sell some of those pieces but without any success. Most folks who are starting up an office want to do so with new furniture. It’s okay to let go of the things that are taking up valuable storage space. Junk King can also help you with the goal of any outdated office equipment. You can turn over your old printers, fax machines, monitors and desktop computers, which would all fall under the category of e-waste. This is something that needs to be disposed of in a responsible manner. Junk King won’t be dismantling those items but they can strive to get them dropped off at the certified facility that can handle that type of work. The cost for Junk King services is always based on how the truck. Even though all the office furniture and equipment looks like it would take up a lot of room, you’ll be amazed at how tightly Junk King crew can squeeze all of that stuff onto the truck. The less room they use up, the less you’ll be paying. Take care of your office cleanup with one call to Junk King Dallas and stop working surrounded by rubbish. This entry was posted in Dallas Junk Removal and tagged Junk King, junk removal, office on February 28, 2019 by Junk King. Last updated March 1, 2019 . In a few weeks, it will officially be spring and that is certainly welcome news for everyone who has suffered through a very chilly winter. Although Dallas didn’t experience the kind of crushing snowstorms that a lot of the rest of the country went through, it will still be great to finally open the windows in the home and let the fresh air in. This is also the time to plan out your spring cleaning. In most households, spring cleaning becomes a “family project.” Everyone gets an assignment. This year, you can take your spring cleaning to the next level by starting with a junk hauling session from Junk King Dallas. This can truly transform your home! How can Junk King help with your spring cleaning? First, think about all the objects in your home that you need to clean under. You can probably slide out the refrigerator or stove to clean the floors but it might be harder to move around the living room sectional sofa. That is especially true if you want to replace that sofa as part of your spring cleaning makeover. ‘sJunk King can swoop in and remove that sofa in no time at all. They can also take away any old appliance that you might have in storage in the garage or a back porch. Just imagine how much space that will open up around the house. Spring cleaning should also involve going through cabinets, drawers and closets and pulling out all the things that can be classified as junk. This would be anything that you know you’re going to use again. Do you need to hold onto those things? The Junk King crew can gather everything and loaded onto the truck along with the big stuff you want to get rid of. Out in the yard there might be some structures like a swing set or garden shed that need to be brought down. This is also something the team from junk King can handle with ease. Make your spring cleaning count this year by getting rid of all your junk first. One call to Junk King Dallas can make that happen. This entry was posted in Dallas Junk Removal and tagged Junk King, junk removal, spring cleaning on February 24, 2019 by Junk King. Last updated February 24, 2019 . When people come to us to get Dallas – Garage Cleanout, they’re often surprised by what the space looks like afterward. Clients are always telling us about the fantastic ideas that you have once the space has been cleared out. Here’s just a few of the things that they’ve shared with us that they’ve done with their garage. Really enterprising clients are motivated by our Dallas – Garage Cleanout services. Because we are thorough and efficient, their garage looks much better in no time and they start making plans quickly. One of the big changes they’ve made we’ve heard from our customers is about apartments. They’ve even shared pictures with us about how they’ve made a few renovations and turned their garage space into an amazingly modern loft apartment. Some of our clients have decided to rent it out for extra income and others hand it over to their teenage children so they have their own space. It’s important to remember that our Dallas – Garage Cleanout services can be booked online. What’s more, you’ll see that we take quite a variety of different items when you browse our website. Once the whole process is over, some of our other clients have turned that empty space into a workshop. For some, just some simple wooden scaffolding and tables turns an empty garage into the fulfillment of a lifetime dream. They are able to either work on other home projects in this new workshop or even start a side business to bring in some extra income. Junk King is the number one rated junk removal service in America. We are very proud of the fact that we have an outstanding reputation for providing superior effort, service and value. If you take just a few minutes to browse our website, you’ll see a variety of customer testimonials from people who have used our services and loved them. One of the other things that our clients love to brag about is the way they turn their cleaned out garage into another living space. Perhaps best of all, they tell us how good they feel knowing that the junk that was taken away was recycled wherever possible. However, you decide to use your space in the end, our Junk King Dallas – Garage Cleanout services are dedicated to helping you de-clutter your garage today. This entry was posted in Dallas Junk Hauling, Dallas Junk Removal, Junk King Dallas on January 28, 2019 by Junk King. Last updated January 28, 2019 . How many returns did you make this past Christmas? There is usually at least one wrong sized item that has to be swapped. Or there could be a “repeat” gift that should be exchange for something new. Fortunately, most stores have a 30-day return policy. That means you won’t have to rush out and fight the crowds to get the gift you want. It is a shame that not everything Christmas can be “returned.” You certainly won’t be able to take back your Christmas tree! Instead, that tree has to have all the decorations removed and it falls to you to arrange to get it taken from your home. If you have a wood chipper in the backyard, then running the Christmas tree through to make mulch would be a great idea. But for most of us Christmas tree removal means dragging it down to the curb and hoping the garbage collectors will pick it up but that’s not always the case. 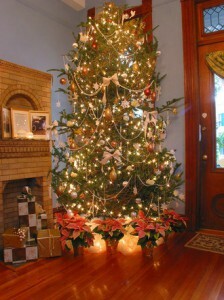 If you want reliable Christmas tree removal, then the best call to make is to Junk King Dallas. Junk King has already earned a solid reputation for providing a wide range of junk removal services. They have helped apartment managers, real estate agents, restaurant owners, office managers and homeowners clear out all kinds of unwanted rubbish and clutter from their properties. You can add Christmas tree to that long list of things that Junk King can take away. Best of all, you won’t have to bring the tree down to her. The Junk King crew will pick it right up on the spot. Once the Christmas tree has been loaded onto the back of the Junk King truck it might look a little bit the only. There is nothing stopping you from providing it with little “company” in the form of all the rest of your junk that you want to get rid of. Do you have wanted to items in your home that you always pass by and say to yourself, “I wish I could get rid of that?” Now you can thanks to Junk King. All you have to do is point to the things you want gone and it will be gone! Taking care of your Christmas tree removal and junk hauling isn’t complicated. Just tell Junk King Dallas to do it! This entry was posted in Dallas Junk Removal and tagged Christmas tree removal, Junk King, junk removal on December 30, 2018 by Junk King. Last updated December 30, 2018 . 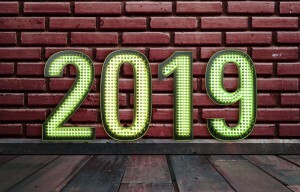 What are the big plans on your calendar for 2019? Maybe there is a waiting in the family or a big vacation. Perhaps you’re looking at selling the home find a new. Even if you brought a new puppy home for Christmas that would certainly count as big news! One of the ways that we focus for the new year is to make resolutions. Those are the goals that help us stay focused on what we want to achieve. And those goals don’t just have to be about personal growth. They can also be about creating a better living environment. If that’s one of your New Year’s resolutions, then Junk King Dallas is a company to enlist. They can help you create a junk free new year all throughout your house. Have you realized over the last year that you run of storage space in your home? That’s a very common occurrence especially this time of year when a lot of “new things” are coming into the house. A good measure to determine whether or not what you’re holding onto is still valuable is whether or not you have used it in the last year. You can apply that to gadgets in your kitchen and clothing in your closets. The decision you have to make is if you think you going to use that stuff in the coming year. If not, then there’s no reason to hold onto it and that’s where Junk King Dallas can be a big help. There is send over a crew of workers in the truck large enough to hold the equivalent of six pickup trucks. That’s plenty of room to hold all the things you’d like to toss out for 2019. The Junk King workers operate very efficiently. Their goal is to pack up the truck with all your stuff using as little space as possible. That way you’ll be able to benefit from the low end of the price scale. Junk King’s pricing policy is always based on volume and not weight. It is a very fair approach for this type of service. Making it a junk free new year around your house is easy when you got Junk King Dallas on your side. Put them to work. This entry was posted in Dallas Junk Removal and tagged Junk King, new year on December 23, 2018 by Junk King. Last updated January 7, 2019 . The kickoff to the holiday shopping season was on Black Friday. In years past, Black Friday seemed like a much bigger deal with folks camping out on the sidewalks the night of Thanksgiving. This year there were plenty of good deals to be had but much more of those Black Friday specials could be found online. Why spend the night in the tent if you can just do a few clicks and get the same deal? How far are you ahead of the holiday shopping this year? 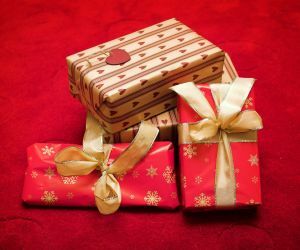 If you’re looking for a unique gift for someone special in your life like a parent or grandparent, then you might want to consider a session with Junk King Dallas. What this can provide is a thorough clearing of all kinds of unwanted rubbish from a home. Just imagine how happy that can make someone you care about. Presenting a Junk King session as a gift will initially be a surprise but you will have to coordinate with the recipient so that they can benefit from this session. First, you’ll need to set up a date. Normally, Junk King is a very fast turnaround. If you call today, then is a good chance the junk can be picked up by tomorrow. They will also occasionally offer same day pickup. However, there might be a need to have some time to sort through all the things to get rid of. You can always schedule Junk King for the weekend. All you need for your appointment is to set aside two hours in a day. The Junk King crew will keep you posted as to how close they are to arriving at the designated property. Most customers find that Junk King arrives on time and in many cases earlier. When the crew shows up you want to show them all the things that are going to be carted away. Remember, the benefit of hiring Junk King is that they do all the work. It won’t be an issue if something is having or upstairs. The Junk King teams have plenty of experience moving all kinds of objects from all kinds of locations. Knowing that you have two movers and a big truck at your disposal can make a huge difference in determining what can go. If you know somebody that needs to get rid of junk, then a session with Junk King Dallas will make the perfect holiday gift. Set that up today. This entry was posted in Dallas Junk Removal and tagged holiday, Junk King, junk removal on November 30, 2018 by Junk King. Last updated November 30, 2018 .